i hope i am not ot. jb doubled the retail prices of their tc electronics products. so even if they marked it down by 50%...it will still end as a regular retail price. the audited price list indicated "below cost" beside the promo price. Which sums up to more loss for the company because there's of the staff's salary, the OPEX, etc. Of all the brands, TCE incurs the most expensive shipping cost because they don't have a hub for Asia and for the rest of the world. You can always pay for the taxes and shipping expenses if you purchase online (SweetWater, Musican's Friend, etc). i would like to ask if it is possible to upload hall of fame 2 toneprints to the older hall of fame 1. same with the flashback 2 toneprints to flashback 1.
yes, but it will not support MASH and SHIMMER, me thinks. ah, ok. i do not care much for the MASH function but i was hoping the shimmer toneprint would be compatible. i sent an email to tc electronics' customer support concerning toneprint compatibility of hof 1 & 2 and flashback 1 & 2. and they are kind enough to reply.
" Regarding your inquiry: Hall Of Fame 1 Toneprint. HoF2 TonePrints are not compatible with the HoF 1 as they require different headers to load into the pedal. However, we have made all TonePrints for the original HoF available for the HoF 2. You will just need to access them from the HoF 2 section. Thank you again for contacting us and please let me know if I can be of further assistance or if you have any further question. Alternatively please visit our website for support and further information. MUSIC Tribe Brands UK Ltd.
no big deal. i had my hof and flashback for 4 1/2 years already and i never tried the toneprint even once. lol. i was just curious coz there is one particular toneprint from hof2 that i like. that is why i asked. hof 2 and flashback 2 are great pedals but not worth it for an upgrade if you already own the 1st versions. if it is your 1st purchase, then the 2nd version is the way to go. May hof mini user po ba dito? Ano po pinaka effective na toneprint for SHIMMER? tama dre. walang shimmer para sa HOF 1 and mini. Nadun lahat ng bagong tone print sa firmware for HOF2. 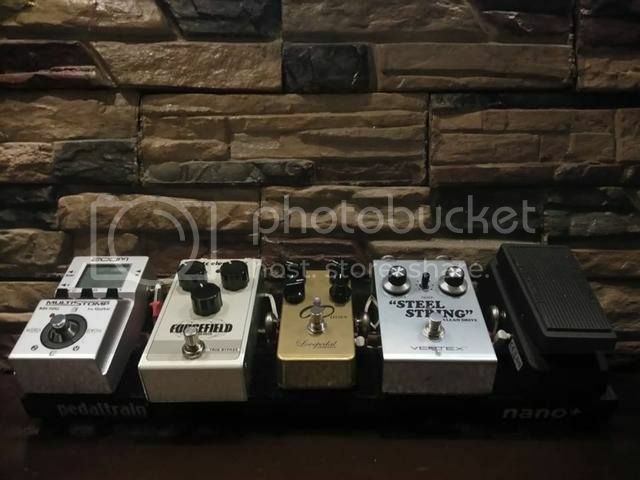 Im still waiting if they would incorporate MASH tech in all their pedals, then I will sell my chorus and Alter Ego to go MASH all the way. MASH is just a breakthrough! sold my gen-1 flashback ang hof and replaced them with the gen 2 variants with mash. i thought that mash thing is not worth the upgrade but i was wrong. lol. Na PC electronic sila hehehe... Sorry can't help it lol.